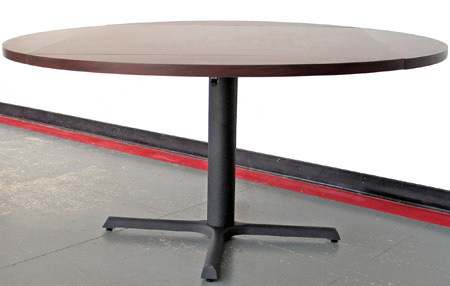 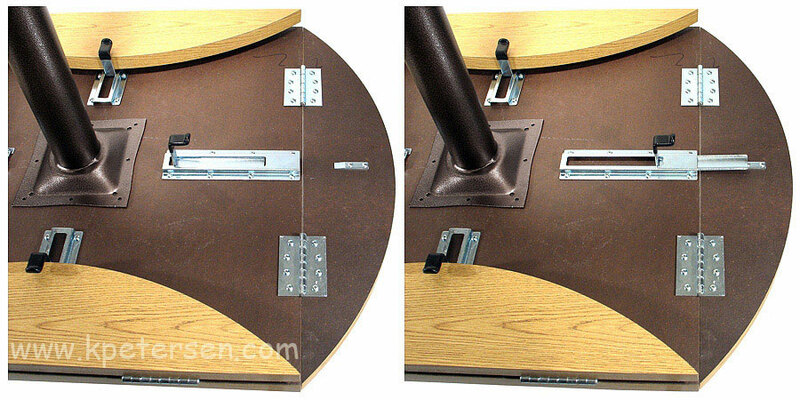 Convert round restaurant tables into square restaurant tables. 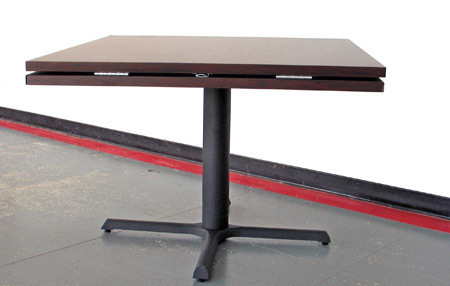 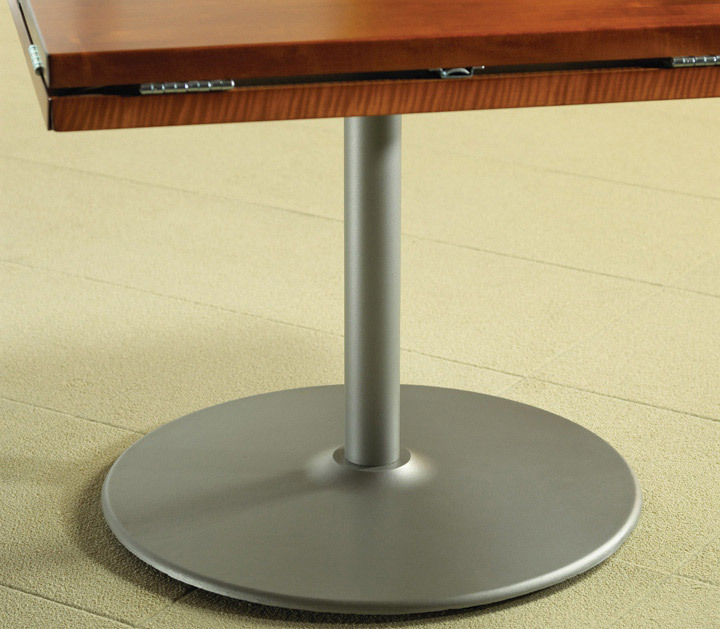 The leaves of a drop leaf table are typically only folded under when tables need to be moved together to be used as squares for larger groups. 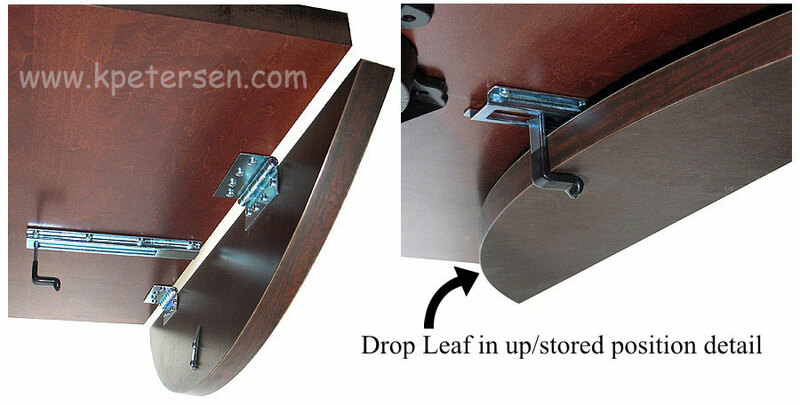 Therefore it is important for the drop leaf mechanism to be very strong and not allow sagging or drooping of the leaves in their most frequently used state.